Author: Delisle, Guy Set In . . . 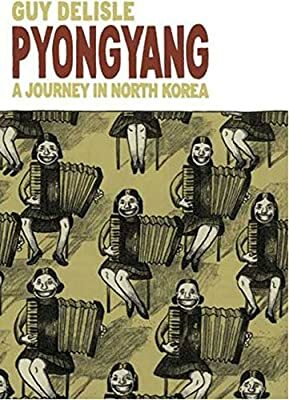 Description: As cameras are not allowed in North Korea, Pyongyang is a perfect example of the power of the graphic novel medium.Delisle's critically acclaimed memoir captures his two months spent in North Korea as an animator. As one of the few Westerners who is able to visit the country, without an overt political agenda, he is able to gain personal insight into one of the most secretive nations on the planet. He wants to learn about North Korean culture, but his omnipresent guides restrict him at every turn. Delisle tries to answer the neverending question: do the people support their government or are they too scared to revolt?